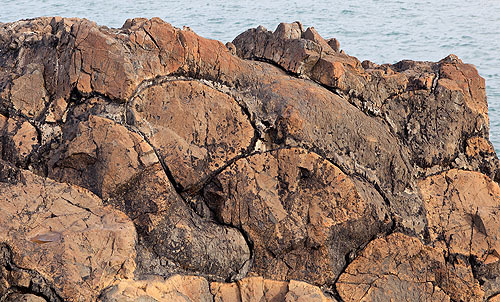 Pillow Lava near the very tip of Pen Anglas . Magma extruded underwater formed balls of Basalt Lava with a thin solid skin. The balls settled one on top of another becoming pillow shaped.